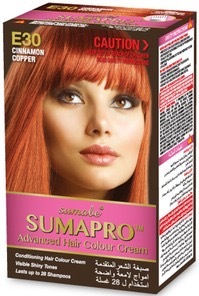 Each Advanced Sumabe® Sumapro™ Advanced Hair Colour Kit contains premium products to create long lasting colour, leaving your hair feeling rich, shiny and glossy. Your visible shiny tones will last up to 28 shampoos. Final colour results will vary, depending on your natural hair colour. Available in 20 colours. 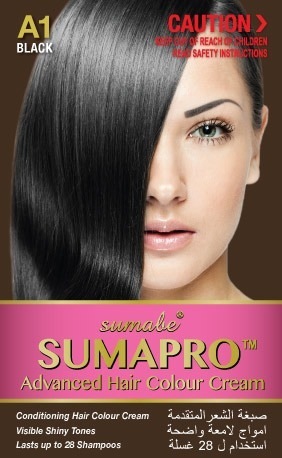 GO TO THE SUMAPRO WEBSITE HERE…..